Infinity Optics and Koehler Illumination offer sophistication and versatility. Designed specifically for daily routine work in the demanding fields of university education, haematology, cytology, this microscope can accommodate any life science application demanding quality optical performance. The microscope’s infinity CCIS™optics allow it tobe fitted with optional accessories such as phase contrast, darkfield, polarizing, and EPI fluorescence without affecting optical quality. Equipped for ergonomic and fatigue-free operation, it features a Siedentopf-style head with independent diopter adjustment on each eyepiece; stage, focusing ,and illumination controls that can be reached while resting your hands on your table; a two-part neck allowing the user to see straigh tdown on to the stage; and a T-shaped base with pyramidal design to support all components on a minimum footprint. The reversed nosepiece grants easy access to the slide, and the focusable Abbe 1.25NA condenser complements the optics for well-defined illumination under all magnifications. A quartz halogen bulb together with the field iris diaphragm provides exact Koehler illumination. 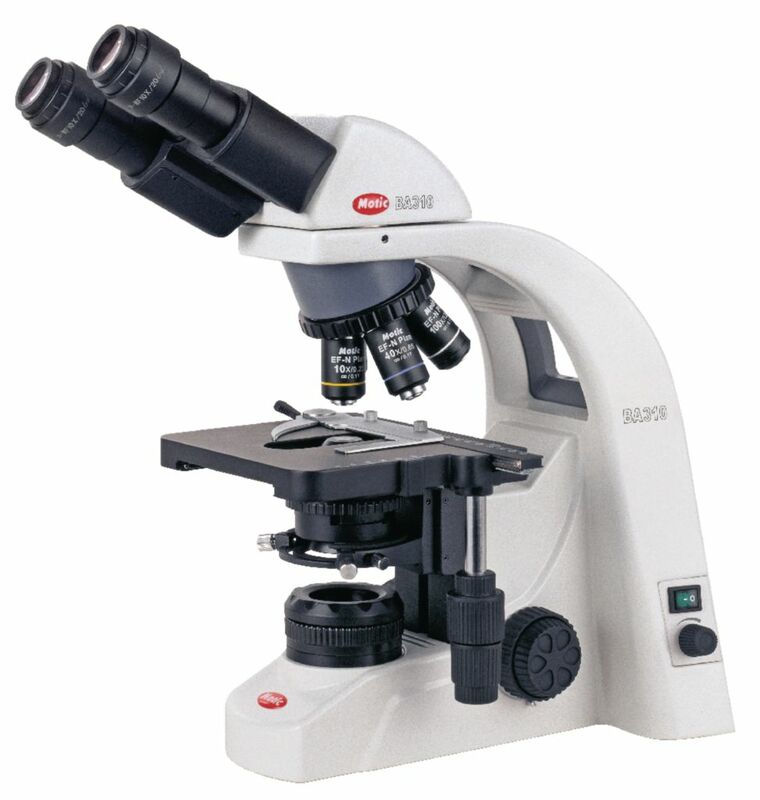 It also features tension-adjustable slip clutch focusing; a large, hard-coated chemical-resistant mechanical stage with coaxial control knob; a stage stop and retractable 40XR and 100XR objectives to protect optics and slides; and a 360° rotatable head. It comes with a manual, dustcover, and blue filter with holder. 110–240VAC.